Position: The Counseling and Consultation Services Department at Northern Michigan University invites applications for Department Head. Duties and Responsibilities: Responsibilities include providing clinical and administrative leadership in the creation and maintenance of an environment which promotes the psychological health of students, administrative supervision of professional clinicians with a commitment to shared governance, functional administrative supervision of TOP staff, student clinical evaluations and psychotherapeutic services (developmental, short-term, individual and group counseling), crisis intervention, and consultation and education for the campus community regarding mental health issues and student development. This is a campus-based position. Minimum Qualifications: Master's degree in Clinical or Counseling Psychology, Counseling, or Clinical Social Work. Minimum of seven (7) years of experience (post-licensure) providing mental health counseling. Three (3) or more years combined experience in the following areas: as a counselor in a university counseling center, as a supervisor, and as either a ector, assistant ector, or interim director of a university counseling center, or the equivalent clinical and administrative experience in organized health care settings with relevant populations. Demonstrated excellent clinical skills compatible with a brief treatment model with experience in assessment, individual and group counseling, and crisis intervention. Philosophy and personality compatible with an outreach service model. Michigan State license in psychology, counseling, or clinical social work, or the ability to transfer a license upon hire. Required knowledge, Skills and Abilities: Knowledge and practice of State and Federal mental health laws and professional codes of conduct; strong, extensive clinical experience working with diverse populations and at-risk individuals; demonstrated ability to manage multiple initiatives, programs, and responsibilities while ensuring clinical excellence in the provision of ect services; strong analytical, problem-solving and conceptual skills; demonstrated innovative leadership practices and exceptional interpersonal, verbal and written communication; demonstrated ability to show a high level of service responsiveness to internal customers and effective partnerships with leagues throughout the university; strong commitment to sustaining a legial, equitable, and supportive environment for faculty and staff; ability to use sound judgment and discretion in handling sensitive mental health issues with confidentiality and discretion; high level of energy and self-motivation; excellent written, verbal communication and presentation skills; demonstrated ability in organization, time management, problem-solving, and interpersonal skills; and computer experience, which must include abilities to work effectively with MS Office programs (i.e. Word, Excel and PowerPoint). Additional Desirable Qualifications: Doctorate or equivalent terminal degree; record of leadership in university and/or professional organizations; "people skills," including laboration, consensus building and conflict resolution; and strong consultation skills; specialized clinical expertise in areas such as trauma focused therapy, ACT, group work, or other specialized modality. The review of applicants will begin October 17, 2018. Applications received after that date will not be considered. All applicants must include a letter of application, a current vitae, unofficial transcripts, and three references (include names, addresses, email addresses, and telephone numbers of references). To apply for this position, please visit: https://employMe.nmu.edu. 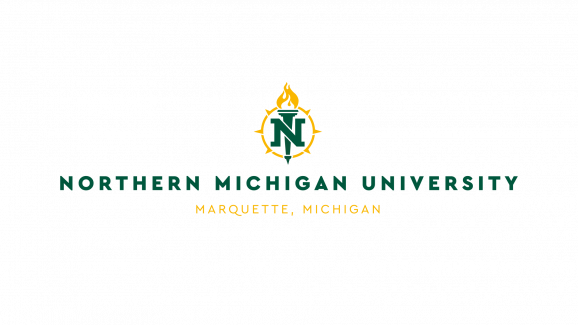 Northern Michigan University, with 7,900 students and 177 degree programs, is located along the shore of Lake Superior in the vibrant, historic city of Marquette, consistently named a top spot in the nation to raise a family, vacation, and enjoy an excellent quality of life. See more at:www.nmu.edu/marquette. Northern Michigan University is an equal opportunity, affirmative action employer including protected veterans and individuals with disabilities, and is strongly committed to increasing the diversity of its faculty.